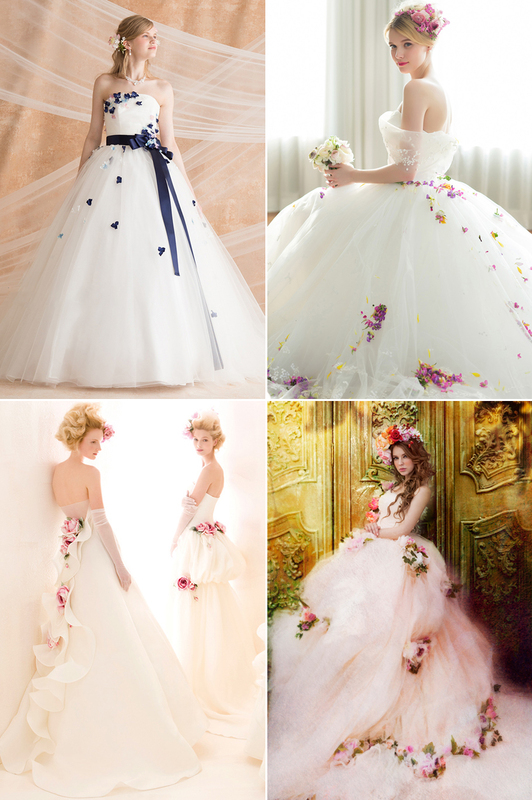 20 Romantic Wedding Dresses Featuring Colorful Embellishments! 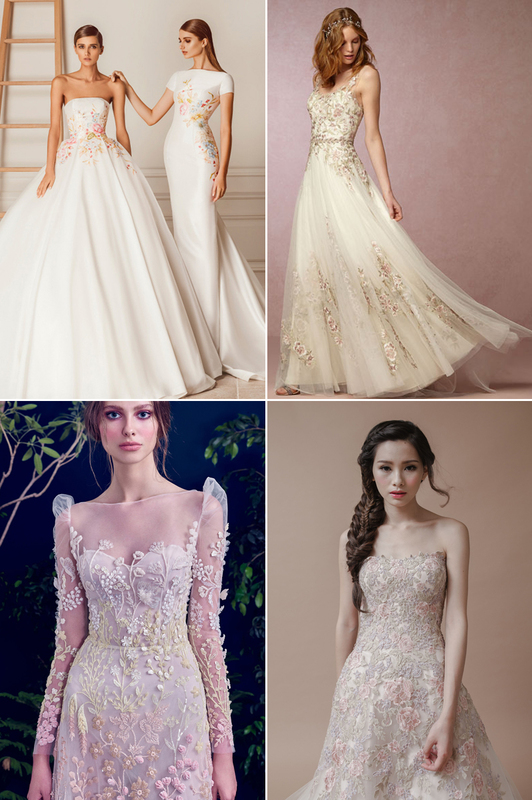 Finding the perfect wedding dress to show your personality is always a challenge, especially if you count yourself amongst the non-traditional crowd. 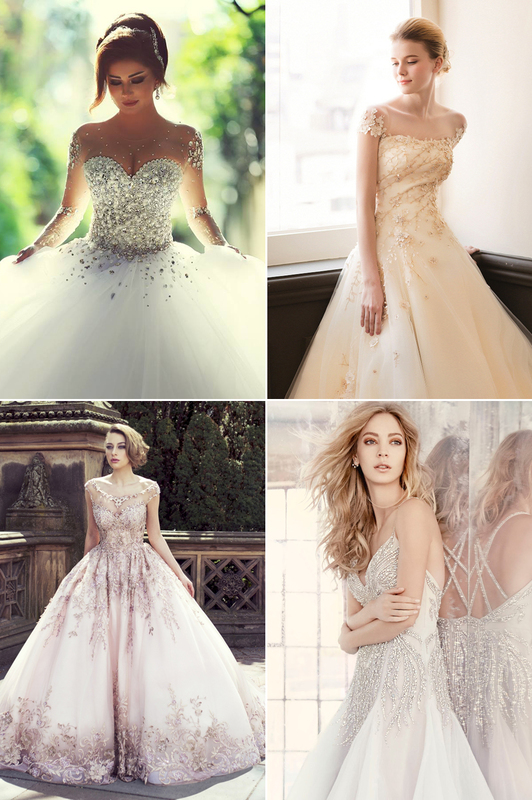 If you want to add a pop of color to your bridal look without going too far, consider wedding dresses with colored embellishments. 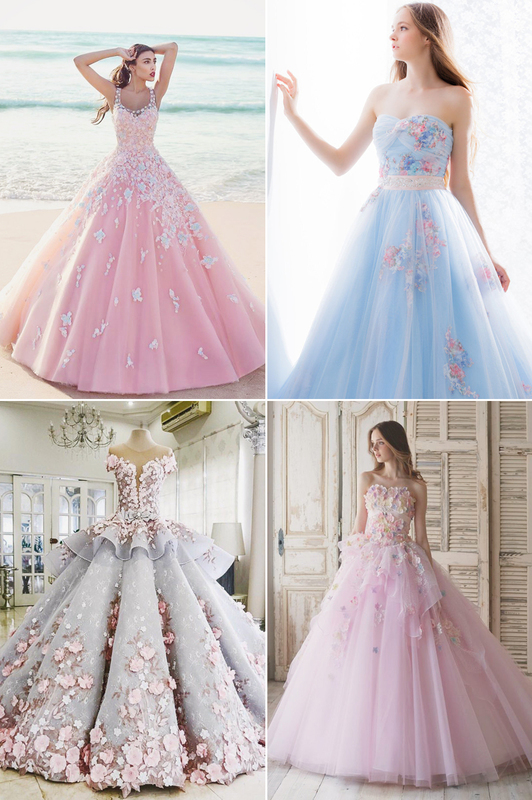 Ranging from romantic pastels, dreamy snowflakes, to blooming floral, check out some of our favorite designs below and get ready to stun your audience!